Sunday, June 3, 5-8 p.m.
Small Plates and Open Bar - Featuring the 2012 HeART of the Community Live Auction with art by 25 invited artists selected by four curators. Auctioneer: Lorne Crawford. Tickets: $75. Tickets are limited. Advance Ticket Price $65, available through April 30 only on the CAMP Rehoboth website. 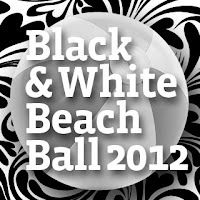 After April 30 all tickets will be $75 and may be purchased online or by calling 302-227-5620. 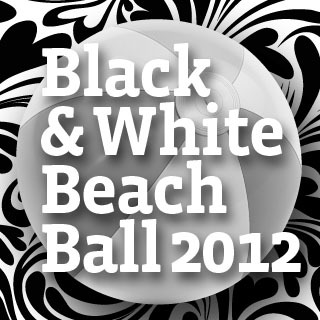 Thanks to the efforts of our curators and their invited artists, CAMP Rehoboth is pleased to present an exceptional collection of art selected especially for the 2012 Black and White Beach Ball. All art will be previewed at the CAMP Rehoboth Community Center on Memorial Day weekend. Proxy bidding will be available for buyers who are interested in purchasing but unable to attend the June 3 event. Last week I took three friends with me to Cuba de Ayer Restaurant in Burtonsville, MD. One of them is addicted to Cuban food, but the other two - one a Canadian and the other a Brit - had never had Cuban food in their entire life. This was my also first visit to Cuba de Ayer, although (since as some of you know, I'm of Cuban ancestry) every time someone who knows me goes there, they tell me what a great place it is, so I was overdue for a visit. The restaurant is very cozy and when we came in at lunch time it was packed, which is always a good sign. The pretty waitress took our orders and my alarm bells went up a little when she asked if we wanted our black beans and rice "together" or "separate." I say that my alarm bells went off because "Moros y Cristianos" -- the Cuban name for black beans and rice -- is NEVER served together; never, ever, ever! It is a cultural error and a true and easy test of the Cubanosity of any restaurant. I ordered my favorite Cuban dish in the world... OK, OK, one of my favorites, "lechon asado", which came with black beans, white rice and tostones (actually a choice of tostones or sweet fried plantains). I breathed a sigh of relief when my friends' dishes came... what the waitress meant as "together" was actually "congri" which is a separate dish where the black beans (or red) are indeed cooked together... a Cuban version of dirty rice, but much tastier. Both the Brit and the Canadian ordered "ropa vieja" with "congri" and they both loved it... my English friend actually said: "I can't believe that a simple rice dish can taste so good!" So Cuba de Ayer gets my highest endorsement! One last thing: When the food came, I was explaining some of the cultural references that I mentioned above. I must have been loud enough to be heard by other people, because as we filed out of the restaurant, the very attractive daughter of the owners came out, introduced herself and asked me if I was Cuban, as she had overheard me describe the cultural aspects of the food. 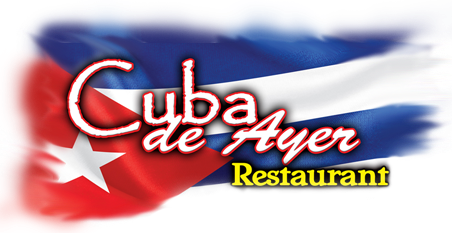 Cuba de Ayer is located at 15446 Old Columbia Pike, Burtonsville, MD 20866, (301) 476-9622.